Evolving from the 1.6 litre Elise platform, this is the first time the supercharged Elise S’ mid-mounted, transverse, 1.8 litre 2ZR-FE engine has been used in a Cup variant. Performance is enhanced over the road-going Elise S thanks to a motorsport-specific engine control module (ECM) and a CFD proved aero pack comprising; front splitter, barge boards, winglets, rear diffuser, floor extensions and rear wing. Despite the extra body kit and race-ready additions, Lotus Motorsport manages to maintain the road car’s light weight of just 924 kg. 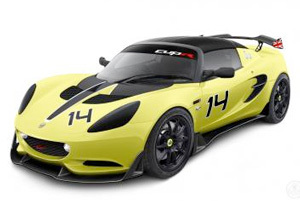 The Lotus Elise S Cup R is eligible for entry to the production class in the 2014 Lotus Cup series. The Exige V6 Cup R is the full race version of the Exige V6 Cup. Additions to the Exige V6 Cup specification include a higher downforce, aerodynamic package, a 60Kg weight reduction, race dampers, an increase in power output (with the sequential gearbox option) and an optional sequential gearbox. 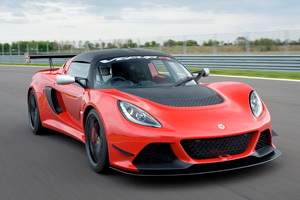 The car allows drivers to race in all Lotus Cup race series including Lotus Cup UK and Europe with a single specification for all drivers, and the car has proved itself in this category with numerous race wins. The ultimate race car ownership experience, the Lotus Type 125 is the closest thing to purchasing your very own Formula One car. Inspired by the very pinnacle of race machinery anywhere in the world and with club membership limited to a mere 25, the Lotus Type 125 and Exos club is all about exclusivity and ultimate enjoyment. The car is designed to give a breathless and authentic Formula One experience while being forgiving, safe, reliable and possible for a mere mortal to drive. The Type 125’s 640bhp 3.5 litre Cosworth V8 engine – much like the one used in IndyCar – is linked to a six-speed gearbox with paddle shift. The car’s featherweight 560kg results in a phenomenal power-to-weight of nearly 1000bhp per tonne. Developed from the highly acclaimed Lotus Evora sports car, the Lotus Evora GT4 & GTE race cars have been engineered to give drivers a competitive racing package straight ‘out of the box’. 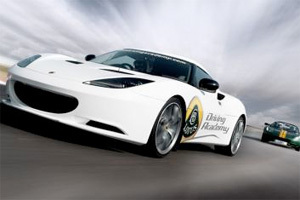 Lotus Motorsport has developed the Lotus Evora race cars in conjunction with a number of prestigious technical partners. As such they feature a world class chassis, steering and brakes, resulting in exceptional handling. 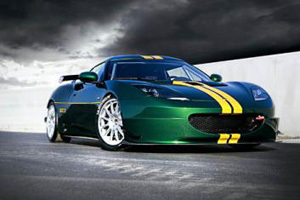 The Evora GT4 has been designed to be eligible for many of the world’s leading GT series and can also compete in the Lotus Cup series, whilst the Evora GTE has been designed for GT2 and international endurance series around the globe. 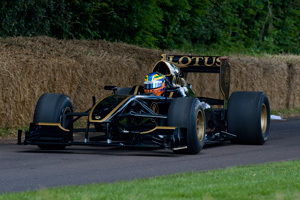 On top of all the others Lotus Motorsport will also be bringing 2 cars from their Lotus Driving Academy. These cars are used on a daily basis to fulfill thrillseekers dreams at the safe FIA specification Lotus test track, Hethel. The academy offers professional coaching to beginner, intermediate or advanced track drivers and the cars are very quick in the right hands. You can read more information on the Lotus Driving Academy at their website here.